Air Force staff sergeants will once again be eligible to retire, according to an Air Force memo signed Oct. 18 that raises the high-year tenure for enlisted airmen, ranks E-4 to E-6. The change, which takes effect Feb. 1, is a reversal of up-or-out rules from 2013 used as a force-reduction tool during sequestration. The new policy extends high-year tenure for senior airmen from eight to 10 years; staff sergeants from 15 to 20 years; and technical sergeants from 20 to 22 years. p class=”krttext”>Wright had hinted at the possibility of increasing the tenure of the Air Force’s middle tier enlisted ranks during several all-hands calls at bases across Europe, but said the service wanted to ensure that letting staff sergeants stay in longer wouldn’t create a bottleneck of senior airmen awaiting promotion. Airmen in these ranks will have their HYT automatically adjusted by the Air Force Personnel Center in San Antonio, and those who hit HYT before Feb. 1 can request an extension via the virtual manpower and personnel flight beginning Oct. 24, the statement said. 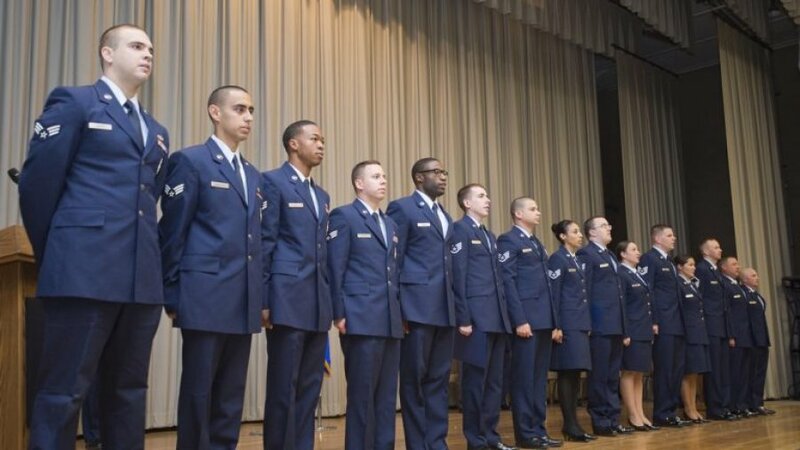 Many airmen expressed excitement about the opportunity to extend their careers. However, Wright emphasized that service is an honor and not an entitlement. “Supervisors and commanders will continue to ensure that proper conduct and mission performance are the primary factors in determining continued service,” he said in the statement.